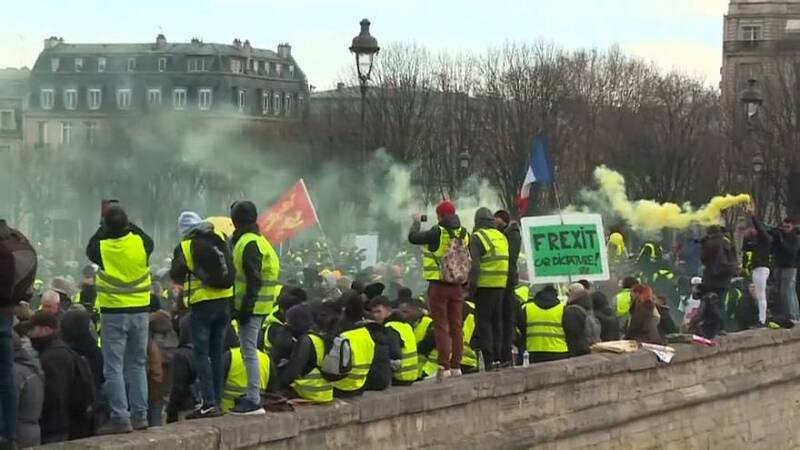 The demonstrations were largely peaceful but a few clashes broke out late in the afternoon between police and demonstrators, some wearing masks, in Paris’ Invalides district. Some also carried mock coffins symbolizing the 10 people who have died during the protests, mainly due to accidents when demonstrators blocked roads. The “yellow vest” protests - which make use of fluorescent jackets French motorists are required to carry in their cars - began in November over higher fuel taxes. Macron has launched a series of national debates to help calm public discontent and restore his standing.